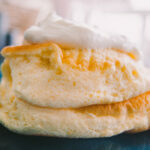 Fluffy Japanese Pancakes are a soft, airy cotton candy-like pancake dream come true. 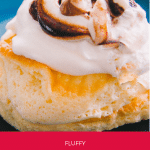 Dress them up in whipped cream, rain down the maple syrup, or try out the tiramisu topping recipe I provide – they come out delicious every which way! 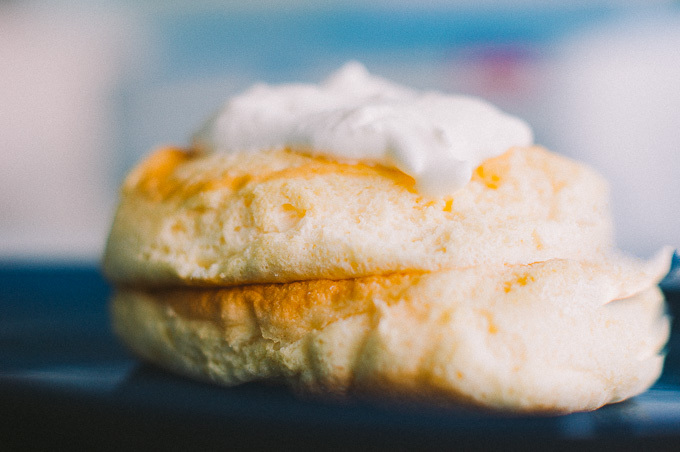 “Souffle pancake” recipes can be tricky, but once we’re done here bestie, you’ll be able to spark joy…one outrageously fluffy pancake at a time. …I finally made Fluffy Japanese Pancakes! Pancake recipes make up four of my ten most popular recipes. 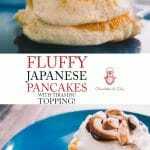 And one of the most requested recipes over the last year has been for fluffy Japanese pancakes – how to make them, and how not to mess them up! And if you’ve ever tried this custardy clouds-on-a-plate breakfast, you’ll know why! (It’s because they’re delicious.) But as you may have figured out, they’re a bit finicky to master. They’re often called souffle pancakes, after all! 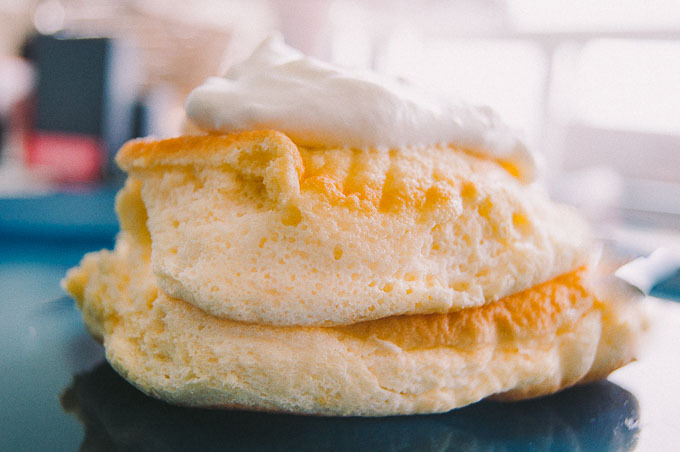 Don’t give up too easily though, we’re going to walk through the main things to keep in mind when you’re making this style of pancake, and then with a little practice, you can serve up the most gloriously airy and fluffy Japanese souffle pancakes to someone very special. A Note: While researching this recipe, I came across A LOT of posts suggesting that their Japanese pancake recipe can be made with ease and abandon in a mere 15-20 minutes. I’m going to tell you frankly that unless you’re a culinary professional, cooking in a pre-prepped restaurant-style kitchen, that’s simply not the case. Of course, if you do get stumped somewhere, you may want to check out my guide on How to Read a Recipe. What are Japanese Pancakes / Souffle Pancakes? Japanese Pancakes, often called Souffle Pancakes, are similar in ingredients, but different in composition and texture to your standard pancake recipe. Exceptionally thick, airy and soft…they are perfectly fluffy pancakes! 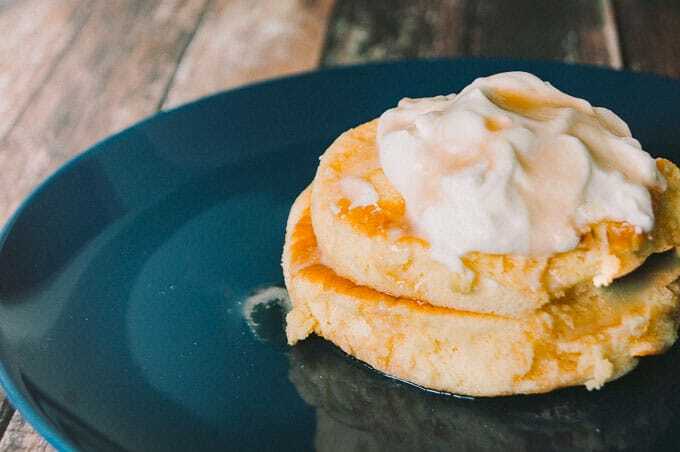 The major difference between them and regular pancakes is the smaller amount of flour, and that the egg whites are beaten to form a meringue (just like you would in a souffle, hence the name), before being gently folded into the rest of the pancake batter. As a result, more air bubbles form inside the pancake batter, and these bubbles are able to hold their shape better. The result is a super fluffy and airy pancake. Seriously, it’s like biting into a cloud! And in case you’re wondering what the word for pancakes are in Japanese, the answer is “pankeki” (パンケーキ). And “fuwafuwa” (ふわふわ) is a mimetic word used to describe fluffy/soft/airy things…from pancakes to kittens! So, yes – we’re making fuwafuwa pankeki today! Fun Fact: I actually studied Japanese at university. And I can tell you quite confidently, that I’m really quite bad at it. 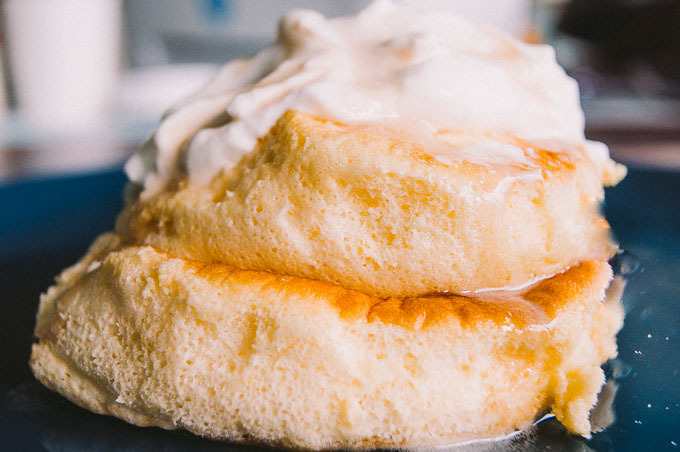 If you don’t have much experience making meringue, then this will likely be the hardest part. Honestly, this could be an entire post by itself, so I’m going to give you a few key things to keep in mind. Keep the separated egg white refrigerated until you come around to whisking it. Make sure your bowls are clean and dry. 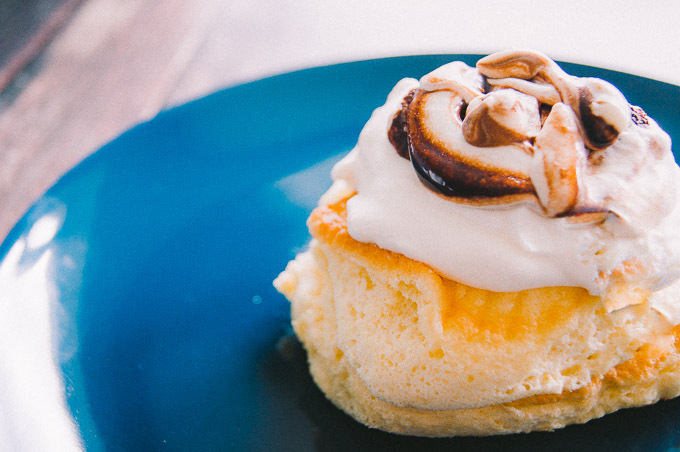 Any sediment or leftover moisture (even just water) can hurt your meringue. You can use cream of tartar to help stabilise the meringue. I personally don’t think it’s necessary here, but if you choose to go in that direction, add 1/8 tsp cream of tartar for each egg white in your meringue. Like so many things in life, patience is the key here, bestie. Japanese pancakes need to be cooked slowly with the heat on low. Higher heats will result in the outsides getting cooked, while the inside remains raw. Nobody ever says, “I like my pancakes cooked rare”. Make sure to cover the pan to lock in all that lovely moisture too. No high-flying death-defying pancakes flips here (or ever…if fluffiness is your goal). Delicately turn the pancake over using a flat spatula/flipper. The harsh impact from a careless flip will literally squish the air bubbles in your pancakes! I made a tiramisu souffle pancake variation of this recipe. The initial plan was to write that up as an entirely separate recipe post but honestly, it felt too easy/similar to this recipe to devote an entirely new post to it. So, if you want the tiramisu version of my fluffy Japanese Pancakes recipe, all you have to do is dust a 1/4 cup of whipped cream with 1 teaspoon of espresso powder, drizzle on a teaspoon of melted dark chocolate, and then give it a little swirl. Ta-da! Souffle Pancakes with a fancy (but totes easy) tiramisu topping. 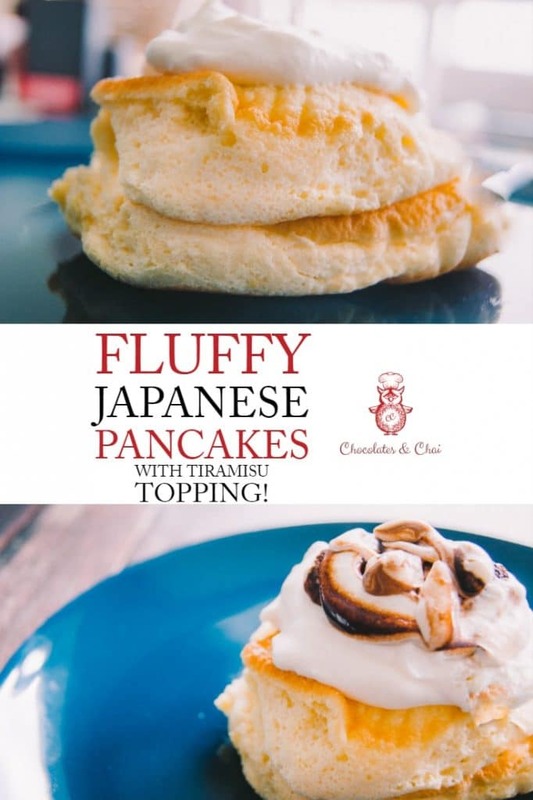 Actually, that’s one of the best things about these Japanese pancakes – they go with a lot of different toppings – whipped cream, fruits, and maple syrup work great; powdered sugar is popular too; custard and cream? Yup, still yummy. The link below is an affiliate link. This means that if you choose to purchase using it, I will receive a small commission, at no extra cost to you. And that would be very lovely of you. 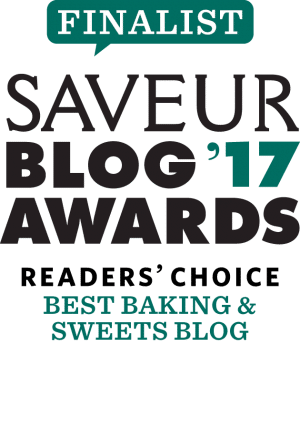 Thank you for supporting Chocolates & Chai! I used an electric hand mixer to beat the egg white into a meringue. You’re very welcome to use your impeccably toned whisking muscles, it’s a good workout! In fact, I’d join you…except, I don’t wanna. What’s your favourite type of pancake? What kind of toppings do you like? Tell me in the comments below. Make sure to follow me on Facebook, Pinterest, Instagram and Twitter for all the latest. Or just sign up to be a part of my mailing list to have updates delivered straight to your inbox! Fluffy Japanese Pancakes (aka. Japanese Souffle Pancakes) are an airy pancake dream. Light, fluffy, and an experience you’ll long to eat again. Time to spark a little joy…one fluffy souffle pancake at a time! Whisk the egg yolk with the sugar until pale and frothy. Mix in the milk and vanilla. Sift flour and baking powder into the mixture and whisk until incorporated. Whip the eggs white using an electric mixer (or a tireless whisking arm) until pale and frothy, begin adding the in sugar in batches until a glossy meringue is formed. You want stiff-ish peaks, not STIFF-peaks. Whisk 1/3 of the meringue into the yolk mixture until completely incorporated. Add half of the remaining meringue and mix delicately. Add the remaining meringue and fold into the mixture using a spatula – be careful not to deflate the batter. Heat a large non-stick pan (with a lid) over low heat. Add a very small drizzle of oil. Using ¼ cup scoops, scoop the batter into the pan. Cover and cook for 2-3 minutes. Remove the lid, add another ¼ cup of batter on top of the pancake already cooking. Cover and continue to cook for another 4-5 minutes. Flip the pancake…EVER. SO. GENTLY! Cover and cook for 4-5 more minutes until done. Repeat with the remaining batter. Serve! Getting these to be perfect is honestly a little bit finicky. If it doesn’t work out for you the first time, don’t lose heart. It takes time and a little patience to get these Fluffy Japanese Pancakes to come out just right! I’ve seen tips online suggesting you add a tablespoon of water to your pan to add even more moisture to the pancakes. I only tried this once, but personally didn’t see a difference. I cook these one pancake at a time in a large pan. In Japan, they’re often cooked on a griddle with a lid. Either option is fine. You can use a ring mold if you want to ensure an thickness and shape. I personally like the asymmetry that comes from working without a mold! I love Japanese pancakes. Looking forward to having these on the weekend! Woohoo! I hope you enjoyed them! Good luck!! And don’t be nervous. You got this, Jo! Where do you incorporate the vanilla? Oops! Sorry about that CJ! You add the vanilla in at the same time as the milk. I’ve edited the recipe to include that, thanks for noticing and letting me know!